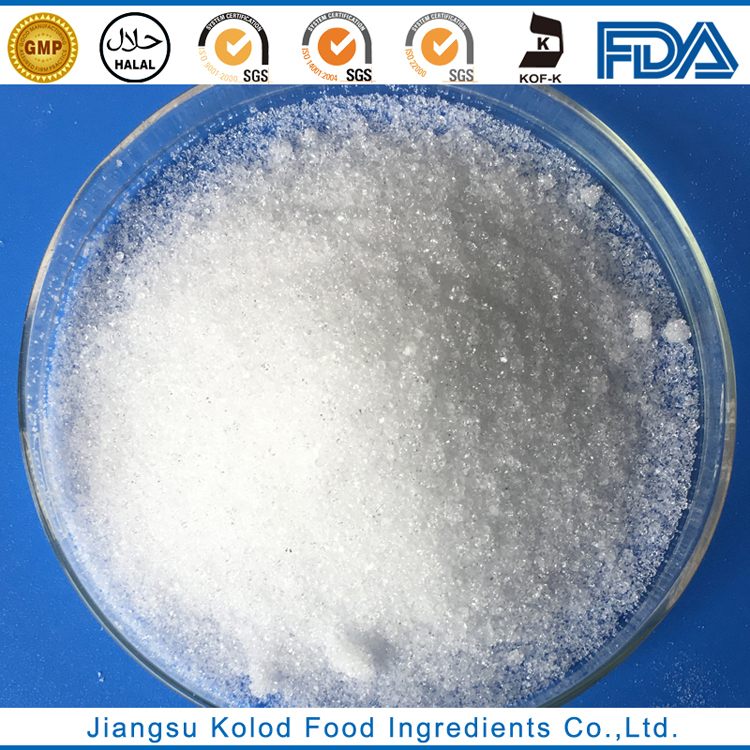 AMMONIUM HYDROGEN PHOSPHATE | Jiangsu Kolod Food Ingredients Co.,Ltd. 5. Character: It is colorless crystal or white crystalline powder, tasteless. Melting point is 190 ℃. 1g Ammonium Hydrogen Phosphate could be dissolved in 1.7mL water or 0.5mL boiling water. It’s insoluble in ethanol or acetone. PH value of its’ aqueous solution is 8. It’ll lose ammonia and change to Ammonium Dihydrogen Phosphate in air. 6. Usage: In food industry, it is used as food leavening agent, dough regulator, yeast food, brewing fermentation agent and buffering agent.